It’s a bit blowy out there and it’s on days like this that I ask myself where do all the leaves and sundry bits of garden furniture, trampoline nets etc. go to when they flutter from your trees or otherwise make a break for it from your property? Does some unfortunate fellow-citizen have a garden, somewhere in Cricklewood perhaps, that’s feet deep in foliage, old newspapers and inside out umbrellas? Or does the above simply get blown into the Thames and make its way to France? • Restaurant Group’s shares traded ex-rights yesterday. Wednesday’s 200p implied an opening price ex-rights of 145.9p but the shares fell by a further 10.5p or so to further, circa 9yr-low, of 134.4p. • Adjusted for the bonus element in yesterday’s Rights Issue, the shares were around 550p at their peak in 2015, were around 300p when current CEO joined the group in 2016 and were around 220p before the current deal was announced. • RTN. With 40% of the share register objecting to the Wagamama deal, a number of shareholders seem to be selling their stock. The stick (the amount of the Rights left with JP Morgan in 10dys time or so) will be influenced by this. It will depend upon whether or not the nil-paid stock is also sold & whether it goes to a holder who intends to pay the additional 108.5p next month. • It is still baffling how the company got here. With much more than half of the share register owned by a handful of institutions, some sort of soundings could surely have been taken. Human nature dictates that we often operate and make decisisons in a bubble of our own making. But surely advisors, non-executives etc. are there to try to guide against this. • Fee based advisors, particularly those on a no-win, no-fee type of deal, may see things differently from the shareholders who have their own, real, money in the game. • Having noted the above, it should be said that the shares, at some point, will offer good value. The unquantifiable issues currently are: how large will the stock overhang be, how will integration progress, will the synergies be realised and can the relationship between management and the company’s share register be repaired? • The latter few points are interrelated as, if synergies don’t materialise and the deal is not as transformational (in a good way) as the management suggests, then the task of rebuilding trust will be that bit more difficult. • That’s enough to be getting on with but, in the meantime, supply of new capacity, aggressive competitors, flaky demand (Brexit etc. ), shortages of staff, costs and all that other good stuff remain critically important issues. • Evening Standard comments on the deal saying that there were a number of other acquisitions that could surely have been made, with greater growth prospects and at a lower price per restaurant. Unless there is something that we (and the stock market) are missing, it’s hard not to agree. • There has been ‘a slight acceleration’ in recent weeks. Food is recovering a little. Sales were not split between wet and food sales. • Margin is down a little. Work to mitigate cost increases is ongoing. • Fixed charges are covered 2.2 times. No change to profit guidance. • The hot weather in the summer was good for lager sales (external suppliers). This has an adverse impact on margins. • Sales growth will moderate in H2 but the mix should improve. • 82% of GNK’s estate is freehold or long leasehold. • Overall, momentum is positive. Uncertainties remain – e.g. Brexit, costs, a resurgence of supply, consumer confidence etc. • Greene King’s shares have reacted positively to today’s reassuring update. • LfL sales are good but, in common with the rest of the industry, costs remain an issue. • Uncertainties surrounding Brexit, consumer confidence etc. remain. But these are industry rather than stock specific concerns. • GNK remains a cheap stock on most measures. It is well asset-backed remains attractive at these levels. 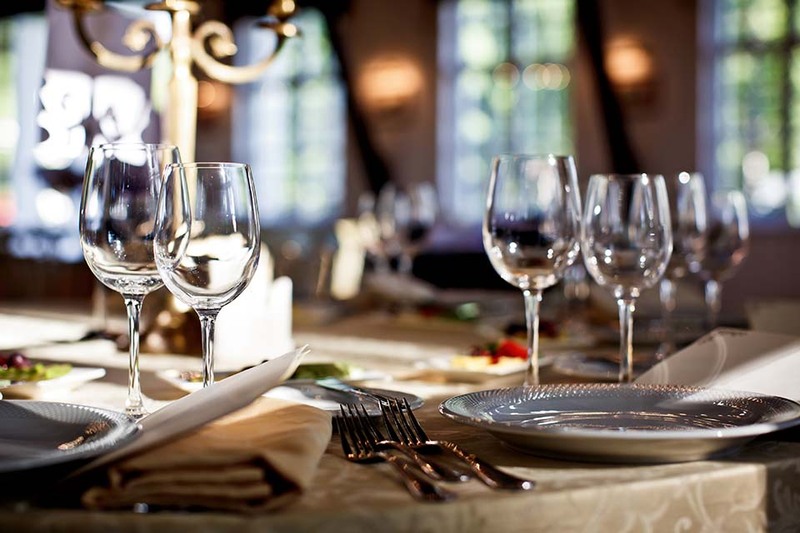 • GO technology has published a report that has stated customers find speed of service and convenience are their top priorities when dining out. The report also found that customers see the use of mobile devices as a good way to provide for this ‘need for speed’. 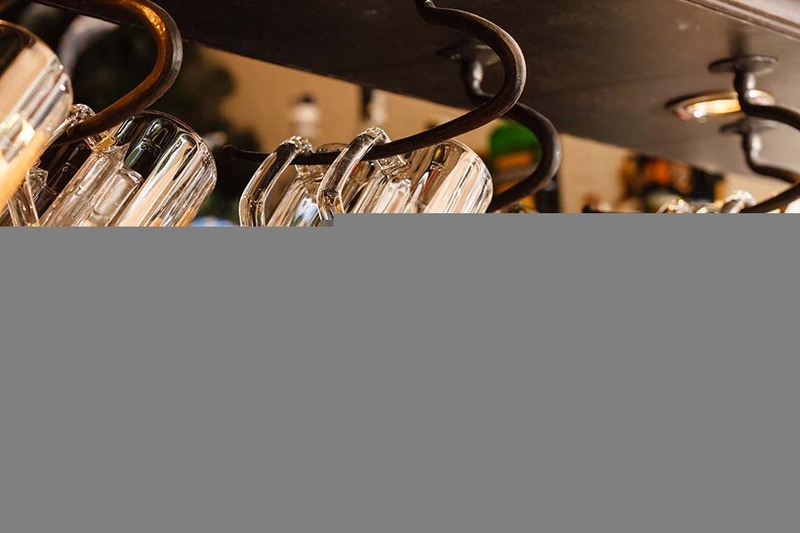 • The Chief Executive of UKHospitality, Kate Nicholls has commented: ‘A fall in the number of EU migrants is seriously worrying for hospitality employers. We need workers from the EU to bolster our home-grown workforces and keep pace with growth, particularly with unemployment so low. This staffing shortfall will only become more acute if the Government pushes ahead with a plan to exclude many potential hospitality workers as part of its future immigration policy’. • Jack in the Box, the over 2000 strong US burger chain is exploring its options, including the sale of the company. • Still waiting for CAKE shares to relist. Or tell us what on earth’s going on, keep us in the loop etc. • Whitbread has announced that it has received clearance from China for its sale of Costa to Coca-Cola. • The fine English sparkling cider producer, Gospel Green has stated that it will join with the new non-profit organisation Cider is Wine (CiW). • As many as 20% of millennials are spending less on eating out and are moving £1bn worth of sales to home delivery. • The French spirits group, La Martiniquaise-Bardinet has acquired the Cutty Sark whisky brand from Edrington. • Staycity opens its fourth aparthotel in Dublin in Chancery Lane next week. The aparthotel will consist of 50-apartments. • Gatwick reports record passenger numbers of 26.5m in the six months to 30 September. One in six Gatwick passengers now travel to a long-haul destination. • Hotstats has reported that the UK hotel industry has seen RevPAR increase 8.3% to £102.67 in October. The sector also saw a 2.3% rise in occupancy to 83.5% and average daily room rate up 5.3% to £122.92. • STR has found that the US hotel industry saw occupancy climb 0.7% to 52%, ADR up 2.1% to $112.26 and RevPAR increasing 2.8% to $58.38 for the week ending 24 November. • Hollywood Bowl will open its 59th entertainment centre at the extended intu Watford next month. Steve Burns, CEO, said ‘intu operates some of the UK’s most popular retail destinations, so we’re very excited to be bringing another Hollywood Bowl to the company’s portfolio of shopping centres’. • Three online casinos have recieved a fine of almost £14m for money laundering breaches. • The first purpose built cinema and coffee complex for dogs at the PetPlace in Abergele. As far-fetched as it sounds, dogs will be able to drink canine tea and coffee from a bowl and watch a selection of movies from Beethoven to 101 Dalmatians. • Consumer borrowing slowed in November per the Bank of England. Borrowing still rose by 7.5% in the year. • Jaguar Landrover is to cut its workforce in Wolverhampton by around 500 people ‘temporarily’. Unemployment numbers may not shift (there are plenty of jobs in amazon warehouses or picking root vegetables) but if there is a shift in the quality of the jobs out there, government tax revenues will suffer. • NIESR says serious labour shortages are sucking in workers from outside the EU. o Jacob Rees Mogg has labelled Bank of England Governor Mark Carney a failed second tier Canadian politician. Not very polite, Jacob. o Labour position on Brexit People’s Vote still somewhat unclear. o Mrs May has not ruled out a No Deal Brexit. The choice may be between being in, or out. The semi-Brexit (worst of all worlds per Michael Fallon, Dominic Raab, David Davis etc.) may be the outcome that satisfies the least people possible. o PM will not tell journalists whether there is a Plan B. • At 200p, the Theoretical Ex Rights Price for Restaurant Group was 146p this morning. Shares therefore fallen another 8p to 138p. • Shadow chancellor John McDonnell has said it is “inevitable” another EU referendum will be called if no general election. BDO High Street Sales Tracker: We flagged on Wednesday that sales at John Lewis recovered strongly last week, on the back of all the Black Friday deals and promotions, and today’s BDO High Street Sales Tracker for medium-sized Non-Food chains for last week, w/e Sunday Nov 25th, is also strong, with BDO Fashion sales up 11.1% LFL last week (including Online). Total BDO sales (including Homewares and Lifestyle sales) were up by 7.6% (+0.4% in terms of Store LFL sales and up by as much as 30.4% Online), which is remarkably similar to the +7.7% gross sales growth at John Lewis (and we suspect their Stores/Online split was also pretty similar). News Flow Next Week: As we move into December (already! ), there is more company news to keep us busy next week, but the appearance of “Mad” Mike Ashley at the House of Commons on Monday afternoon to talk about his plan to “save the High Street” will be an amusing diversion. Monday also brings the McColl’s pre-close trading update and the MySale AGM. The BRC-KPMG Retail Sales for November are out first thing on Tuesday and the FTSE Quarterly index review will be announced last thing on Wednesday. Thursday brings a Ted Baker trading update and the Signet Q3 results out in the US. Then on Friday we get the ABF (Primark) AGM.